Sasha Banks is officially out of this Sunday’s Elimination Chamber Match to crown WWE Women’s Tag Team Champions. 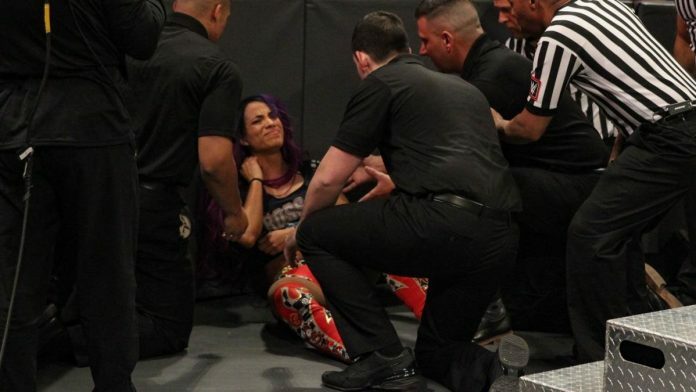 WWE.com announced that Banks re-aggravated a shoulder injury during last night’s Triple Threat Tag Team Match. The injury has forced Banks out of the Elimination Chamber Match, leaving Bayley to compete by herself. Last night’s Triple Threat Match featured a stipulation where the losing team would enter the Elimination Chamber Match first. Facing Nia Jax and Tamina, as well as Liv Morgan and Sarah Logan, The Boss ‘N’ Hug Connection were on the wrong end of the stipulation. Banks was taken out early in the match-up by The Riott Squad and left Bayley to fend for herself. Bayley fought hard but was eventually put away by Jax from a Samoan Drop. Following the match, Bayley appeared confident that Sasha will be ready to fight on Sunday and they’ll become WWE Women’s Tag Team Champions. 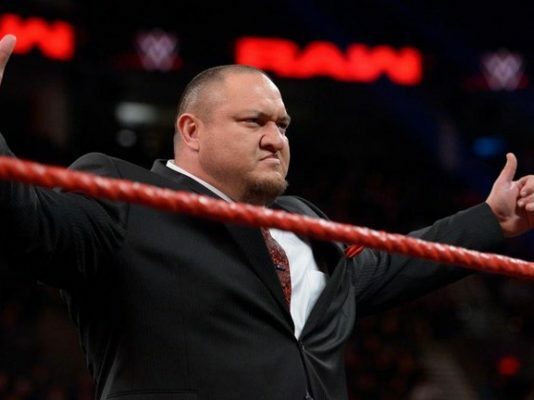 WWE’s announcement is apparently a cover for Banks dealing with a legitimate injury. Dave Meltzer reported after Raw last week that Banks wasn’t given a full clearance to compete following her loss to Ronda Rousey at the Royal Rumble. This is why Bayley handled most of the ring work last night, as well as last week in a tag match against Alicia Fox and Nikki Cross.